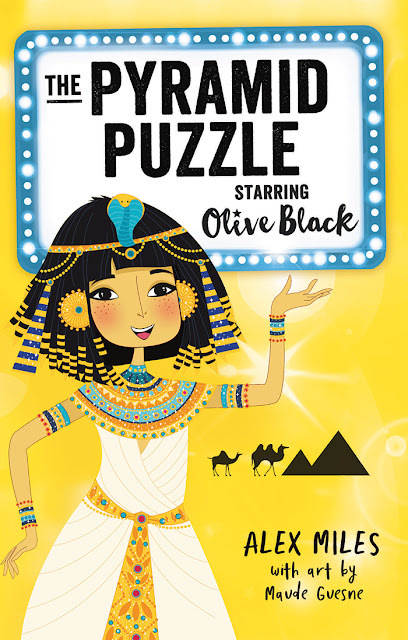 Olive Black, child actress extraordinaire, is preparing for her next blockbuster movie. Her role this time is that of an archaeologist. She is thrilled when plans are made to film in Egypt. But there are still lessons and school work to be completed. Replacement teacher Harriet arrives at Olive’s school for a term. This sends Miss Loople, Olive’s favourite teacher into a tizz. Always one for drama, Olive immediately becomes suspicious. Nathan is a mystery. Why does he steal Olive’s presentation ideas? To top it off, he suggests the students put on an event for the whole school for a day, and names it Egypt Alive. A go ahead is voted. Olive’s brother Liam, tells her about the hidden dungeon which is said to now house the school archives and a time capsule. As with all juicy gossip, Olive’s imagination goes wild. A time capsule in a hidden dungeon! Time for Olive to start digging! On her return from Egypt, Olive learns her beloved Miss Loople is leaving due to Harriet’s manipulation of the truth. Olive and Nathan are determined to keep their teacher with them. Will the mystery involving Miss Loople and Harriet be dug up with the time capsule? How will Nathan and Olive find a way to get into the hiding place? Can Olive expose Harriet for the conniving person she is and keep Miss Loople at the school? And what is Nathan hiding and why? These stories loop together to create another terrific illustrated chapter book in the series. Full of surprises, I loved the theme that often people are not what they seem, that flows through the story. 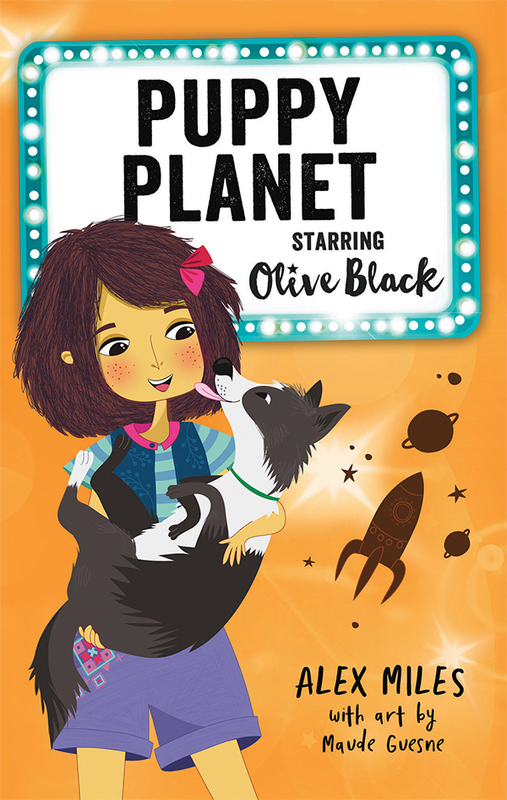 In Puppy Planet starring Olive Black, Olive has the part of a dog in space. To familiarize herself with a dog’s voice, she visits a dog shelter. Photos are taken of her for publicity. They are also used to raise awareness of the plight of homeless dogs, and the shelter’s lack of funds which will ultimately force them to close. Olive falls for a homeless stray that she then adopts. Her brilliant idea to raise money through a telethon of the puppy trainers’ graduation has one setback. Her arch enemy Sofia La Boosh has to be included. Will she be a bonus or a handicap? Dogscapades, chaos and lots of fun and laughs bring this story to an end. Will the shelter be saved? If not, what will happen to all the homeless dogs?